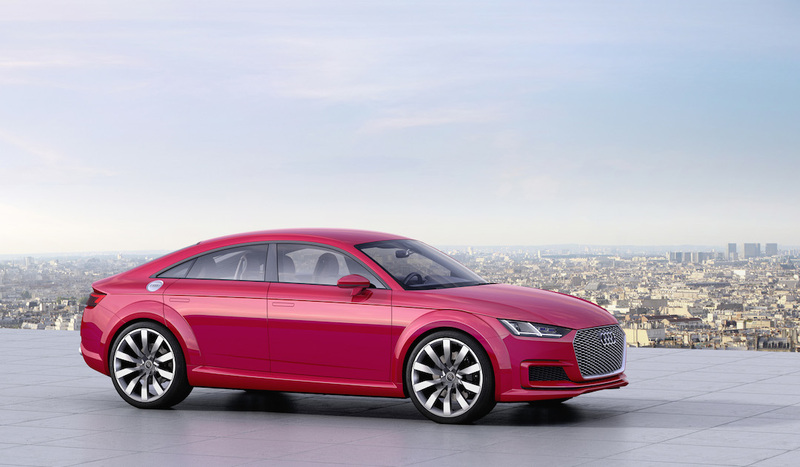 Ever wished the TT coupé came with five-doors? No? 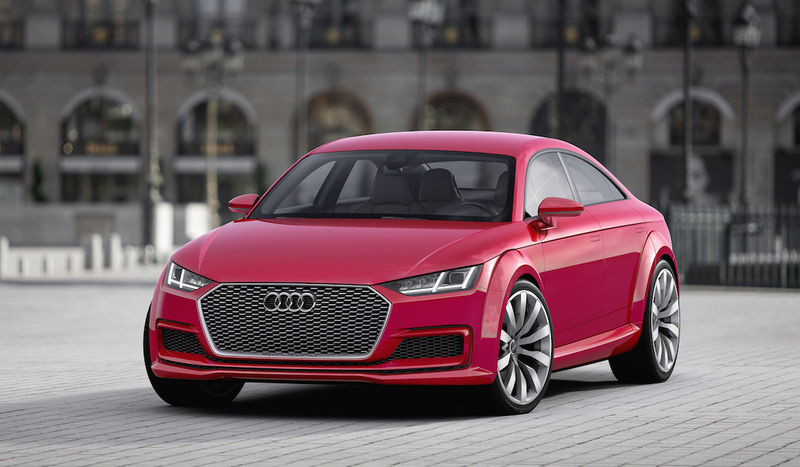 Well, Audi has already got an answer for something you hadn’t even worried about, in the shape of the TT Sportback. Given the brand already has a Sportback version of the A5, along with the A7, it’s perhaps reasonable to presume Audi is concerned about a potential gap in the five-door coupé range it offers. Longer, wider and lower than the regular TT, the Sportback concept also features a 12cm longer wheelbase; presumably to incorporate some room for those two potential rear seat passengers. We particularly like the subtly kicked up boot lid – a feature similar to that seen on the A5 and A7 – which follows the elongated roofline. Being a concept, the wheels are naturally 21″ in diameter, and look distinctly similar to the ones fitted to the 2003 Nuvolari concept car. The TT Sportback also features Audi’s favourite technology feature at present; laser main beam headlights. Also featured at the front is a flatter, wider, grille featuring a honeycomb insert that has a “resplendent” dark aluminium finish to it. Prominent air intakes feature in either side of the front bumper, mirrored by two oval exhaust tailpipes in the rear bumper. Overall, it’s not a bad-looking car, although the aggressive Audi corporate front-end possibly dominates the design a little too much. We’d expect any production version to tone things down somewhat. Those lovely wheel arch curves are rather tidy, and mimic the original mk1 TT neatly. Inside is accessed by frameless doors, with four individual seats divided by a centre console running the full length of the interior. What Audi calls ‘slimline’ door cards and dashboard trim has been used, seemingly to maximise interior space. Folding rear seats are designed to maximise practicality, whilst more dark aluminium, and parchment leather trim emphasise the TT Sportback’s combination of luxury and elegance. The main dashboard is reminiscent of the regular TT, with a ‘virtual cockpit’ digital instrument display and those novel air-conditioning controls integrated into the vents themselves. Power comes from a 400 bhp version of the EA888 2.0 litre four-cylinder turbocharged petrol engine, connected to a seven-speed S tronic DSG gearbox and quattro all-wheel drive system. 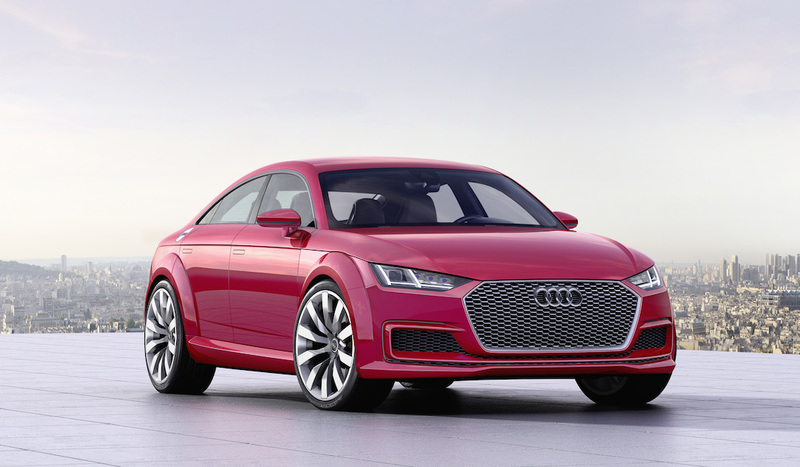 Peak torque of 332 lb-ft all the way from 2,400 to 6,000 rpm means the TT Sportback concept isn’t short of acceleration; 0-62 mph takes just 3.9 seconds. 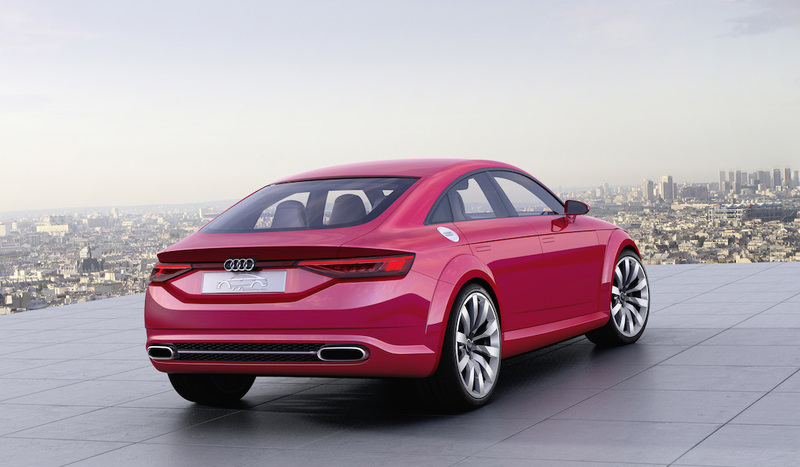 For the time being, the Sportback is just a concept for the Paris Motor Show. But, given Audi’s aim of filling every niche going, only a fool would bet against a genuine production version in the not to distant future.